We arrived in Cusco from Puno after a long overnight bus through the mountains. After some initial confusion over which hotel we were in, we checked into the Cusco Plaza II, an old mansion, now Hostel/ hotel, just a few minutes from the town square. 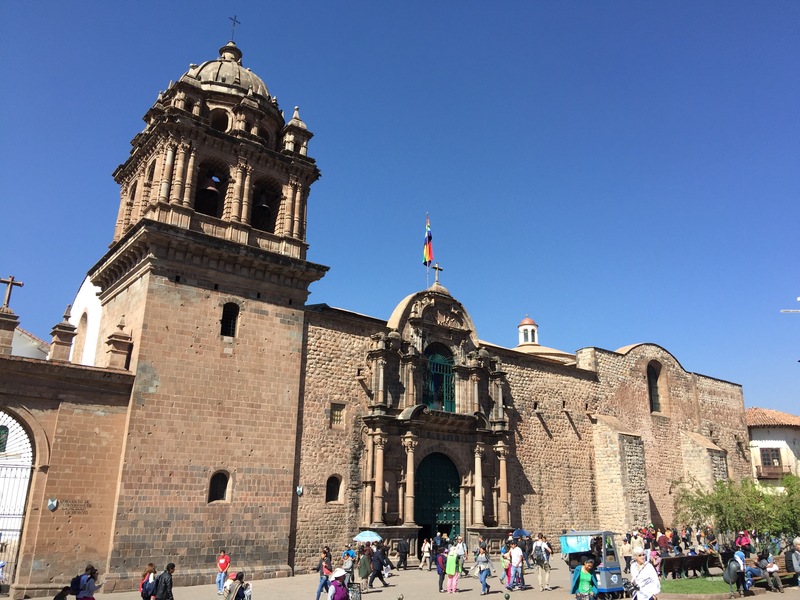 It was immediately apparent that Cusco is a party city, packed with tourists, most of whom jet in for a few days to see Machu Pichu and then head home. For us, Cusco would be our basecamp, for two days/ nights before our Inca Trail trek and then two days/ nights recovery after. Given the extra time in the city we felt less compelled to run around like crazy things seeing all the sights, rather we had time to relax and unwind. 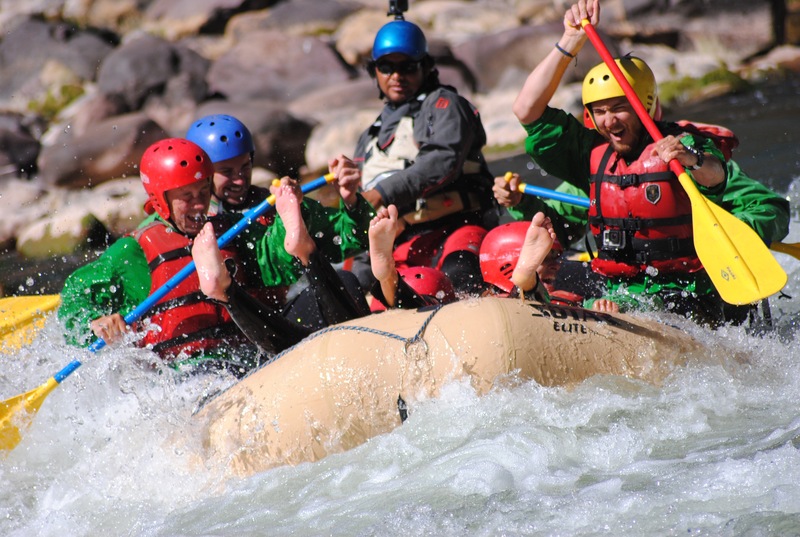 On our first day, eight of us booked whiteriver rafting – which at around USD $65pp is about a third of the price of New Zealand. We were collected at 8am and driven the two hours to the Chukicahuana part of the Bielkonota River which we’d be rafting. Whilst the raft and equipment was slightly older than you’d expect in a western country, the guides from Apuex.com were thorough and experienced and took safety seriously. Being dry season, the river was also running slower and more shallow than usual with the majority of the rapids grade 3/4. For most people in our two boats, this was their first time rafting, so it was as much fun watching their reaction as it was navigating the river. Compared to New Zealand it was a relatively tame ride and the water significantly warmer which made for a relaxed day. With everyone successfully navigating the river without falling in, we made it back to the launch house where the group enjoyed lunch and got harnessed up for some zip lining. While the rafting had been professional, the zip lining was far from safe and there were some relieved faces once everyone was safely back on the bus to Cusco. Our second day we spent exploring the city, relaxing in coffee bars and enjoying the sunshine and local festivities. Every June, Cusco hosts an anniversary festival – a month long parade in the main square featuring everything from dancing, local folklore to military marches. The parades go on from early morning until late at night and provide an energetic backdrop to many city sights. Once coffee’d out we spent the afternoon packing and shopping for supplies – visiting the G Adventures office for an evening briefing and getting prepped for our four days trek to Machu Pichu. The challenge with trekking the Inca Trail, isn’t just the 46km hike but trying to fit four days clothes and supplies into just 2.5kgs in a duffle bag, which the porters carry. Anything above that weight limit you have to carry yourself – which you really don’t want to be doing. After spending the second evening packing, we headed to Ollyantambo, a 45min drive from ’82km’ – the official starting point of the Inca Trail. We’d return to Cusco after Machu Pichu, although most of our two days/ nights on return were spent hobbling around town with aching limbs booking massages and eating. After the intensity of walking/ climbing and crawling 60km, it was remarkable just how nice it was to do nothing. We frequented the Irish Pub, Taco Mania and Mr Soup – enjoyed lay ins and visited almost every coffee house in town. 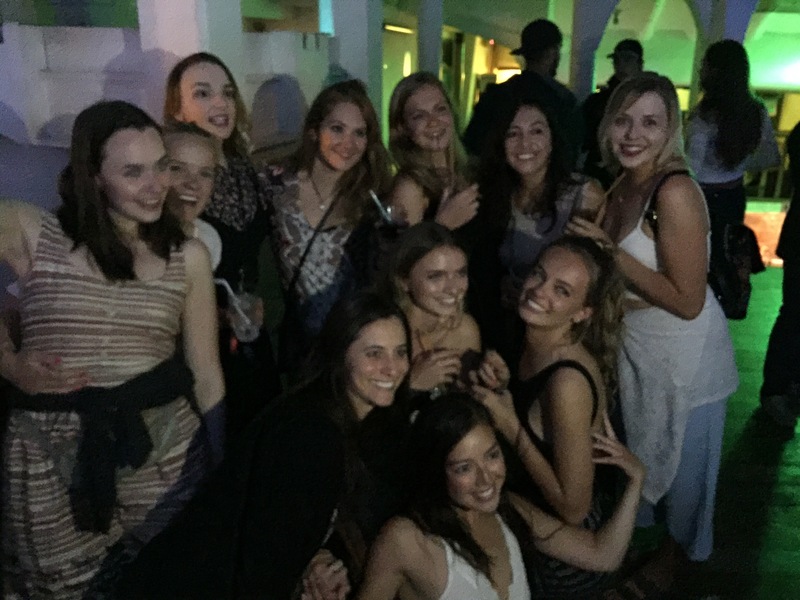 Our final night in Cusco was a ‘Big night out’ – free drinks at Mythology bar, followed by one to many tequilas at Mama Africa club. Needless to say, our final memories of Cusco were somewhat blurry and featured stonking hangovers.